The asignatura Political and Social Geography, inserts in the Plan of Studies of Teacher of Primary Education (Plan 2000 to extinguish) is an asignatura of fundamental social contents for the training of the/future ace/master ace/ace. The big actuality of the subjects analysed in class pretends to promote enlos/ace students/ace a greater restlessness by the social and political situation in the world. This asignatura poses like a space of learning and reflection in which the/ace students/ace can know the social reality of countries, regions and even, urban areas with problems and conflicts enquistados or of difficult solution. The Political and Social Geography has like aim give to know the geographic reality from a social point of view and politician, awarding special attention to the relations that keep the half geographic and the society. The asignatura goes to be faced with an essentially practical perspective, since it pretends that in addition to the theory that the professor will give, develop a series of readings, analysis of texts and videos and fundamentally, debates in schedule of class with the end that the/the student/to interactúe to the maximum in the asignatura with his mates/ace and that reflexione on the subjects treated. BLOCK 2. Social inequalities in the territory. Training of neighbourhoods marginados, social contrasts to scale intraurbana, processes of gentrificación social, problems associated to the space growth of the city. The city in countries of economy in transition. Inequalities in the half rural. The contrasts in the world developed. The processes of despoblación. Social inequality in the half rural of countries in roads of development. BLOCK 1. The border spaces and the social and economic borders. The landscapes of the borders. 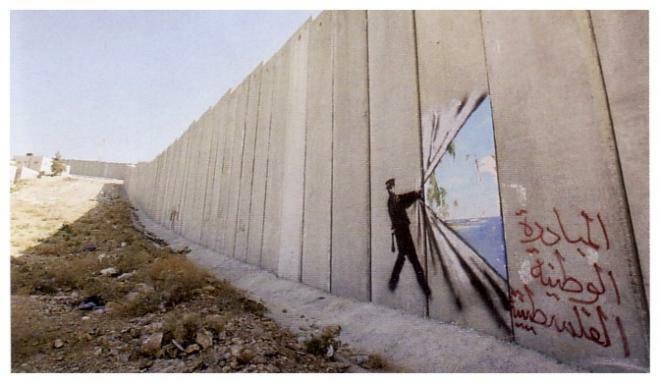 Social consequences, economic, cultural and territorial of the creation of borders. The perception of the border space. The migratory movements. SUMMARY: In this brief introduction to the block 1 on borders, go to analyse the differences between diverse denominations referents to the territory loaded of social value, politician and economic, using the analysis of the article of María of Rosario Bottini (2009). Summary: The city of Wroclaw, capital of the region of the Drop Silesia, has been a strategic enclave during centuries so much for Poland, Germany as for the Czech Republic. After the Second World War, Wroclaw happened definitively to form part of Poland, expelling to big part of the German population that during decades had lived there. However, after the fall of the communist diet and the entrance in the European Union, the existent relations between both countries have improved significantly. So much it is like this, that Germany has gone back to Wroc%or0142aw by means of the purchase of houses and plots, the industrial and commercial investment and the speculation real estate, increasing his can mediático and economic in the Drop Silesia. In this communication, will tackle the social impact, cultural and economic that this flow of German return is having in said city. Social inequalities in the territory. Training of neighbourhoods marginados, social contrasts to scale intraurbana, processes of gentrificación social, problems associated to the space growth of the city. The city in countries of economy in transition. Inequalities in the half rural. SUMMARY: The cities are spaces of interaction and union but also are generadoras of multiple conflicts. The social pressure by a determinate space causes crowd of inequalities and social problems. The way in which interactuamos with our surroundings and society, and at the same time, the possibilities that so much the territorial surroundings like the rest of the society allow us move us, express us and apropiarnos of the space limits and conditions the types of relations that go to establish in the city. ABSTRACT: There Plough ace many reasons for being on the street ace there plough street children. Mutual for all the urchins on the streets of Kathmandu is the city's significance in their lives. The children No longer depend on their family to provide their fundamental needs. The city Have become their replacement of to variety of functions. It is therefore likely to Boasts that there is to special relationship between the street children and the city. Within Kathmandu the street children choose to stay in different places. Each place offers several practices in order to maintain daily life. The gangs socialize new street children into the practices in the place, including the territorial practices. Through their daily life and daily routines the street children appropriate place. The street children's Territorial expressions depend on context and who they plough interacting with. They exclude other street children from their place in order to defend their resources. The street children Plough by representatives from mainstream society considered to be abject and on the margin of society. Ironically the mainstream society's fear of abjection and dirt partly empower the street children to appropriate places. SUMMARY: The life in the street is a social phenomenon that affects to a lot of people, but when it treats of boys, the phenomenon worsens of spectacular form, since it can arrive to affect of definite form the plans of future and the expectations that so much the boy like his family possess. The boys of the street leave to depend affective and economically of his familiar, to the time that learn the value of the territory like space of socialisation, survival and of the street like home. - Arjona, to. And Checa, J.C. (2006): %u201Cethnic Economy: theories, concepts and new advances%u201D. International magazine of Sociology, vol. LXIV, nº 5, pp 117-143. - Bjoennes Larsen, H. (2003): Children of the city: to study of street children in Kathmandu, their social practices and territoriality, University of Bergen. - Bonancich, And. (1973): %u201CTo theory of ethnic antagonism: the split work market%u201D. American Sociological Review, vol. 38, pp 583-594. - Daniel, P. And Hopkison, M. (1990): The Geography of settlement: conceptual frameworks in Geography, Oliver & Boyd, pp 336. - Davis, M. (2006): Planet of cities misfortune, editions Seal, pp 283. - Giddens, To. (1984): The constitution of the society: bases for the theory of the structuring, Amorrortu editors, pp 416. - Jones, And. And Eyle, J. (1977): An introduction to Social Geography, Oxford University Press. - Kerbo, H.R. (2010): social Stratification and inequality. The conflict of class in historical perspective, compared and global. Madrid: Mc Graw Hill. - It looked, M. (2007): Cayuco (documentary), Canarian Screen. - Nogué, J. (Ed.) (2007): The social construction of the landscape. Madrid: New Library. - You carry, To.. (1981): %u201CModes of incorporation and theories of labour immigration%u201D. In Kritz, Keeley and Tomasi (eds.). Global Trends in Migration, Centre for Migration Studies of New York, pp. 279%u201397. - You carry, To. And Sensebrenner, J. (1993): %u201CEmbeddedness and migration: you notice in the social determinants of economic action%u201D. The American Journal of Sociology, nº 98, pp 1320-1350. - You carry, To. (1995): %u201CEconomic sociology and the sociology of immigration: to conceptual overview%u201D, in Alejandro Carry (editor): The Economic Sociology of Immigration: Essays on Networks, Ethnicity and Entrepreneurship, Russell Sage Foundation. - Power and Ellison, (1995): %u201CInterracial contact and black racial attitudes: the contact hypothesis and selectivity Bias%u201D. Social Forces, n° 74, pp 205-226. - Wacquant, L. (2001): Parias urban, publisher Manantial. - Wilson, T. And Hastings, D. (2001): Border identities: nation and state at international frontiers, Cambridge University Press.